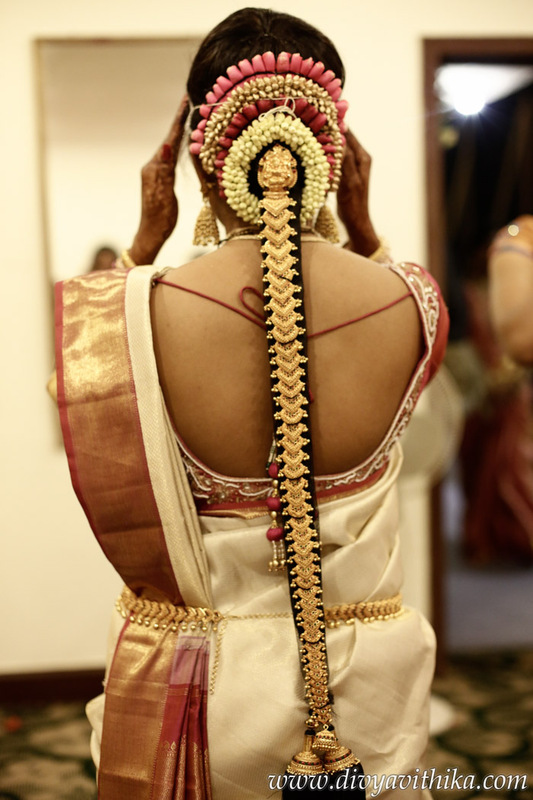 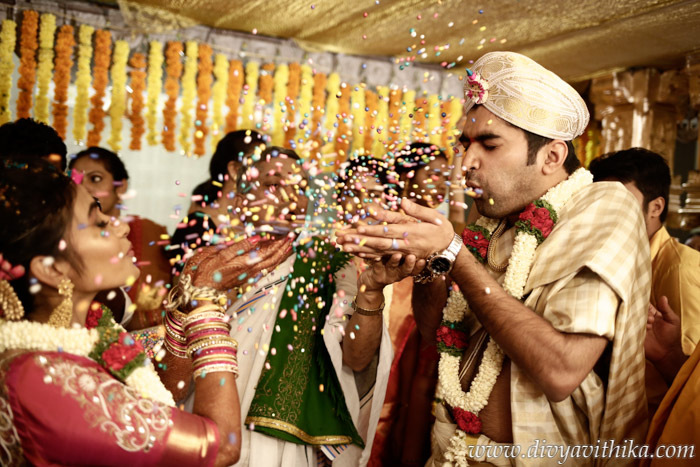 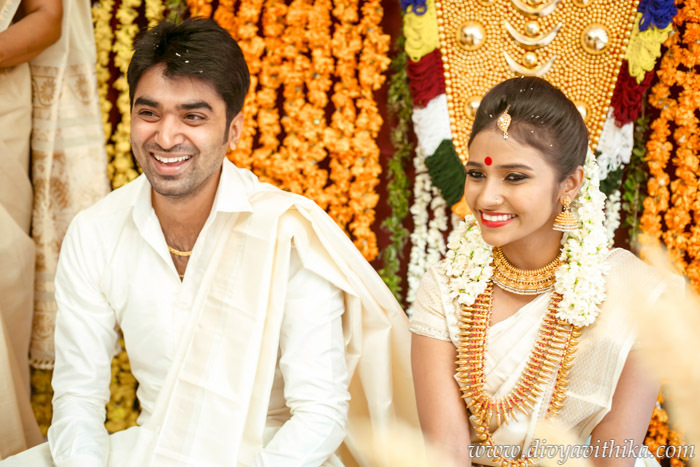 Darshan Priya and Harsha’s wedding was a beautiful grand affair. 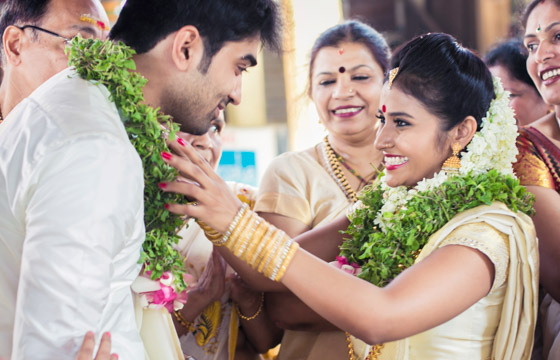 As the guests entered the wedding venue they were greeted by plantain trees tied to the gateposts, overhead festoons of innumerable mango leaves, South Indian music, rangoli designs and other exquisite features characterizing their South Indian wedding. 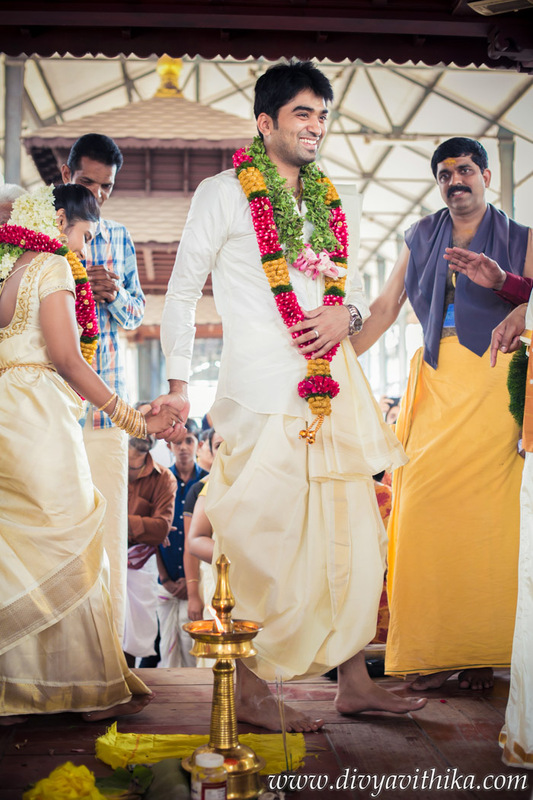 The festivities started with a beautiful ceremony at Guruvayur. 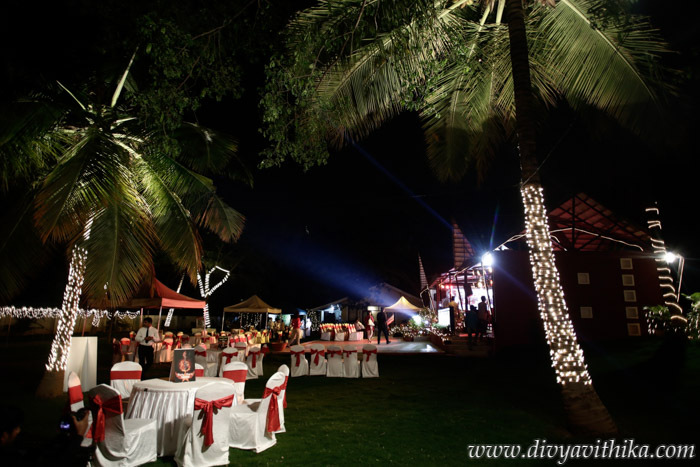 They then came back to celebrate their marriage to a movie night cocktail party followed by a traditional wedding ceremony and reception at White Petals Palace grounds. 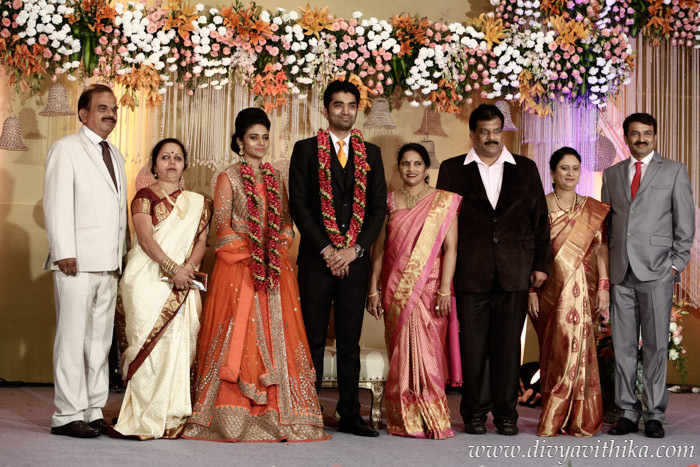 Divya Vithika Wedding Planners were very happy to help the couple in the planning, organization and execution of their beautiful celebrations. 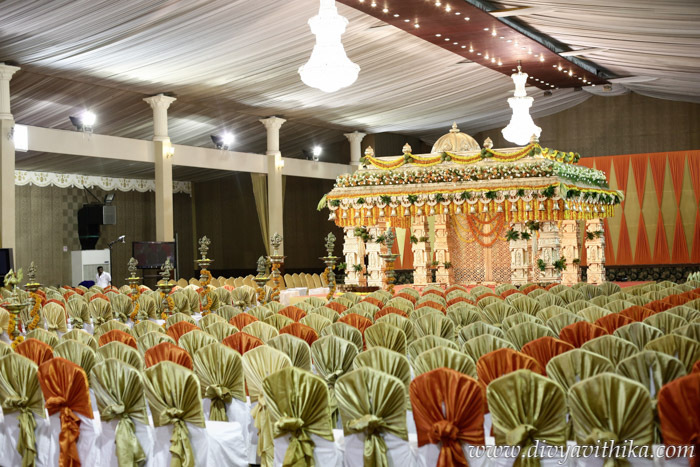 Telephone: Vithika Agarwal +91 9900239080, Divya Chauhan +91 9845228614.